This is the last regular post of the 2017-2018 academic year! New folks will run the blog in the coming year, so look for new structures and approaches to our topics. Colorado State University’s “Access Project” helps other in higher education think about Universal Design for Learning, and how we can improve our own teaching practices, especially leveraging the power of educational technology and online tools! I found the resource called “How Do YOU Teach?” particularly valuable as I thought about my own classrooms, what I might change, and how. for a quick overview, check out this overview video produced by CAST, the Center for Applied Special Technology. You can learn more at the CAST website. That’s the motto for CAST, The Center for Applied Special Technology, whose website is loaded with information and resources for educators interesting in Universal Design for Learning (UDL). ways of using new technologies to provide better educational experiences to students with disabilities. As CAST researchers tested and refined their principles, priorities, and vision over that first decade, they came to a new understanding of how to improve education using flexible methods and materials. They called this approach Universal Design for Learning. This robust online resource includes the group’s history, research, and a wide variety of videos, guidelines, grids, and prompts to help educators at all levels make their lessons and classroom experiences more accessible to all. Universal Design for Learning (UDL) is a research-based set of principles to guide the design of learning environments that are accessible and effective for all. First articulated by CAST in the 1990s and now the leading framework in an international reform movement, UDL informs all of our work in educational research and development, capacity building, and professional learning. Why not check out their UDL Guidelines as you consider the end of this school year and what innovations you might make for this coming fall? Universal Design for Learning… this is something that those of us working in online education need to think about more as we design our curricula and lessons. This TEDX talk, “Universal Design for Learning–A Paradigm for Maximum Inclusion” addresses this in the context of reconciliation. Fascinating. The speaker, Dr. Terence Brady of Oxford, explains UDL and speaks about why he believes it is the best way toward maximum inclusion. Underneath the “digital” part of “digital teaching and learning” is… what? Well, at its core: a human being. A human being teaching. And other human beings learning. I’m reminded as we enter into the season of spring and renewal to think again about what it means to be a teacher, trying new things like digital technologies, risking failure in front of colleagues and students but still trying again. good teaching cannot be reduced to technique; good teaching comes from the identity and integrity of the teacher. To be nobody-but-yourself — in a world which is doing its best, night and day, to make you everybody else — means to fight the hardest battle which any human being can fight. I find this useful to think about as I consider my work as an educator. And I think it is valuable for us to model and discuss with our students as well, as they discern their future paths. Next week is spring break, so no new posts! The next post will appear March 26. Had to share this fascinating article by Mark Barnes in the January 31, 2018 edition of Education Week. Grading is not assessment, he argues. If you’re interested in disrupting education far more than the 3-D printer or smartphone ever could, consider schools and colleges where there are no grades. Imagine classrooms where teachers never place numbers, letters, percentages, or other labels on students’ work; where report cards don’t exist; and where the GPA has gone the way of the dinosaur. In a gradeless classroom, the perpetual lies that numbers and letters tell about learning would cease to exist. Check out the article to find out more about how he would assess learning. How might this change your pedagogy, both in the classroom and online? In my last post, I shared a short podcast introducing the concept of Universal Design for Learning and how it can shape our pedagogy, both on the ground and in the online learning environment. Curious to learn more, I dug around a bit and found this wonderful tutorial from the IRIS Center of Peabody College at Vanderbilt University. The IRIS Center develops materials for university and college faculty, professional developers, and practicing educators at all levels. 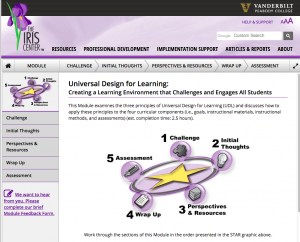 This unit, “Universal Design for Learning: Creating a Learning Environment that Challenges and Engages All Students,” is itself an interesting example of online universal design. I encourage you to check it out, both to explore the context about universal design, and to see what it is like as a learning experiencing such a pedagogical method. IRIS also provides this explanation of the adult learning theory which they have used in the design of their modules. Interested in learning more about how you can craft presentations–both online and in the classroom–which move your students to action? How can we create presentations which help students act to engage more deeply with their learning and the material in our courses? 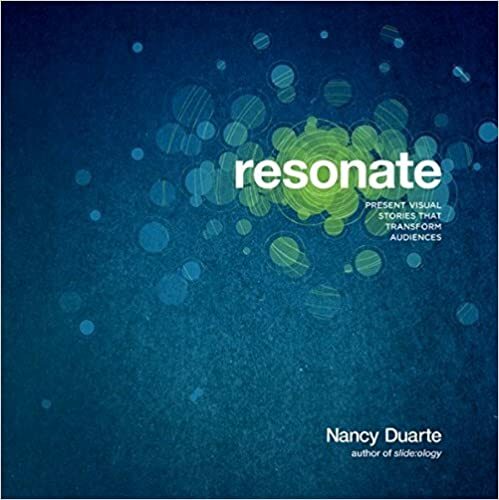 Check out the wonderful book Resonate: Present Visual Stories that Transform Audiences, by Nancy Duarte. She has also authored two other best-selling books, slide: ology The Art and Science of Creating Great Presentations, and Illuminate: Ignite Change Through Speeches, Stories, Ceremonies, and Symbols. This book ignites information by linking it with story and visuals. 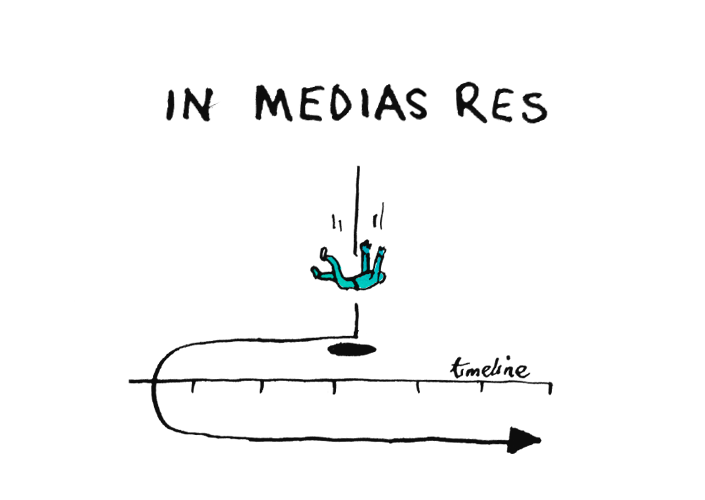 Duarte shows us how to combine these three things (information, story, and visuals) to inspire our audience to action. Resonate is available to Hope College authorized users as an electronic resource through Van Wylen library.